MAERSK’s efforts to reduce the impact of volatile freight rates on its financial results are making progress as the Danish group expands its range of door-to-door services and digital products. 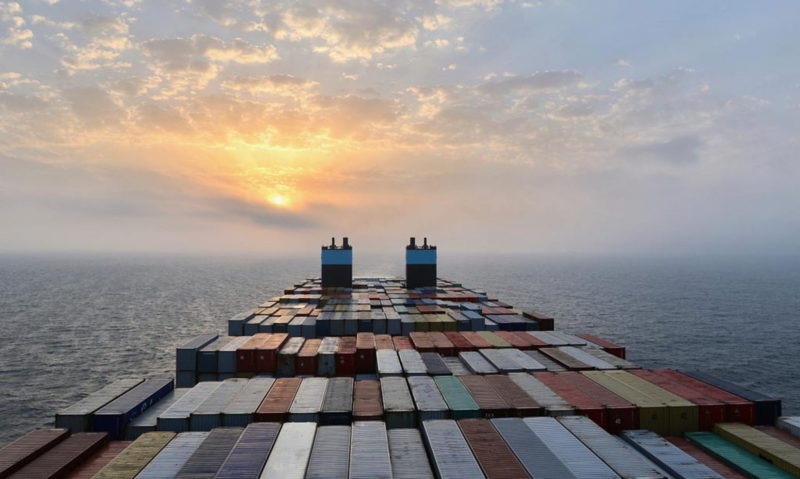 The goal is to ensure that revenue from stable business activities grows faster than income generated from ocean freight rates that are hugely cyclical, AP Moller-Maersk chief executive Søren Skou said this week. He also outlined the new financial reporting system, to start with the coming interim results. that will bring greater transparency to the performance of different activities and separate out the impact of freight rates. “The new format will reflect the fact that we an integrated business focusing on our customers’ value chains,” Mr Skou told the annual general meeting. The four segments will consist of the ocean shipping activities of Maersk Line, Hamburg Süd and related operations: logistics and services activities of Damco, Maersk Line and APM Terminals on land; terminals and tug operations of APM Terminals and Svitzer in and around ports; and manufacturing activities of Maersk Container Industry and other businesses in the portfolio. “That new segmentation will make it easier for everyone to follow the development within those services that are not purely ocean freight,” said Mr Skou. In the past, this ability to hedge one part of the business against another was achieved through the group’s energy activities, which are being sold off as Maersk moves from being a conglomerate to an integrated transport and logistics company. Maersk has already come a long way over the past year, he told shareholders, citing the fact that more than 80% of price inquiries are now received online, compared with zero a year ago. The Danish group first unveiled plans to transform itself from a shipping and energy group to one focused purely on transportation in 2016, with the aim to reduce its exposure to external factors such as freight rates and oil prices over which it has very little influence. Digital services are at the core of this massive shake-up, with Mr Skou saying that Maersk already operated one of the largest business-to-business platforms in the world, measured by revenue. This, he said, would form the basis of Maersk’s digital transformation. Digital technology will not just improve customer services, but also improve productivity of assets such as ships and ports, so enabling Maersk to serve existing and new accounts more cost effectively, said Mr Skou. further today after China responded to US plans for new tariffs on hundreds of Chinese import product categories worth around $50 billion a year. Just hours after the Trump administration revealed plans for a 25% tariff on Chinese imports of products within industries such as aerospace, information and communication technology, robotics, and machinery, Beijing threatened to retaliate by imposing tariffs on roughly $50 billion of imports from the US, including on soybeans, cars, and some aircraft, according to reports from international sources including the BBC, FT and Washington Post. The US claimed it was responding to China’s “unfair trade practices related to the forced transfer of US technology and intellectual property” by publishing “a proposed list of products imported from China that could be subject to additional tariffs”. The US said China’s policies “bolster China’s stated intention of seizing economic leadership in advanced technology as set forth in its industrial plans”, such as its ‘Made in China 2025’ plans. “The total value of imports subject to the tariff increase is commensurate with an economic analysis of the harm caused by China’s unreasonable technology transfer policies to the US economy, as covered by USTR’s Section 301 investigation,” the US said. Its announcement comes just days after the USTR filed a request for consultations with China at the World Trade Organization (WTO) to address China’s “discriminatory technology licensing requirements”. Responding to the new US tariff announcements but prior to the retaliatory threats from China, US body the National Retail Federation issued the following statement from President and CEO Matthew Shay: “As we’ve said all along, tariffs are taxes on consumers and a drag on the nation’s economy. While we are pleased that many everyday products such as clothing and shoes are not on the list, we remain concerned that other goods such as consumer electronics and home appliances are targets. And we believe that tariffs on certain machinery will make American-made products more expensive. “This entire process creates uncertainty and makes it difficult for retail companies that must rely on complicated global supply chains. Tariffs threaten to hurt consumers, jeopardize job creation and increase the cost of doing business here in the United States.